Last week’s controversial Hobby Lobby ruling sparked heated debate across the web. 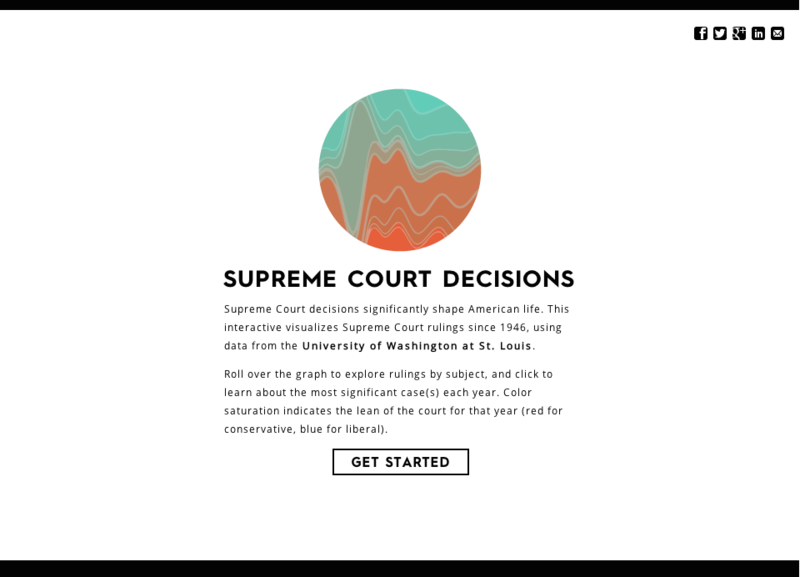 The furor over the decision inspired us to take a look at The Supreme Court Database, which tracks Supreme Court rulings from 1946 to present. From segregation to life insurance benefits for adoptive siblings, there are many fascinating cases, many of which have been long forgotten. Being the data geeks we are, we decided to put this information into an interactive visualization for you to explore. Check out this interactive to see the volume of cases ruled on, subjects covered, the most significant case(s) each year and whether the Court leaned more conservative or liberal.